It's called the Ikea Jesper Bench and the catalog picture above helps to explain what it's for. I wonder when Ikea'll make an Insulin Table with refrigerated drawers, lancet dispensers and glucostrip disposal hole? 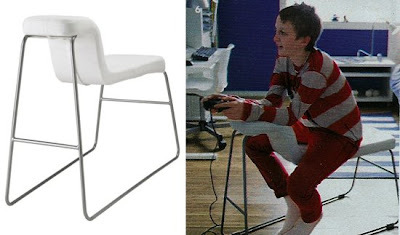 The chair can be yours for just $59.99 CAD.